Author Douglas Kolacki is my guest today . He's talking about his demon story "The Devil Never Takes a Vacation and Neither Do I." Please welcome him to Darkling Delights. 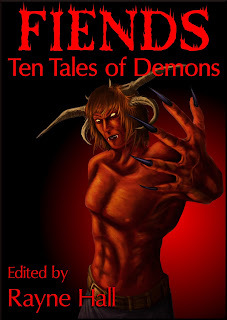 My short story, "The Devil Never Takes a Vacation and Neither Do I," appears in Rayne Hall's upcoming anthology Fiends: Ten Tales of Demons. After getting serious about writing a long time ago (1988) and far away (Naples, Italy), I placed stories in Christian publications like Dreams & Visions, Dragons Knights & Angels, and The Sword Review. These ranged from end times science fantasy to steampunk. I've also appeared in a number of Sunday School papers, digest-sized publications featuring 1200 to 1500-word stories about various aspects of the Christian life. I've rarely written stories about supernatural evils. There are "demonstorms" in my novel Elijah's Chariot, but other than that I can recall only one yarn starring real, honest-to-goodness demons. So, why a demon story now? I'm a believer. If anyone asks if I'm religious, I always say I try to be. But I seem to be the rare Christian who loves weird tales: reading them, watching them and, most of all, writing them. I'm thrilled to be living in H.P. Lovecraft's hometown of Providence, Rhode Island. My apartment, in fact, is only a few suburban blocks from his birthplace. So I guess it was inevitable I'd arrive at this subject sooner or later. The few Christian stories I've seen about demons, generally involve tackling them with "spiritual warfare," like The Exorcist with a happier ending. Christ banished a whole legion of them at once. But folks, we're not Christ. We're human, and we have our weaknesses. Our faults, our errors in the system. And if the minions of hell know them, they're bound to try to exploit them. They're said to be clever, like, really clever; they could clever us under the table. The serpent tricked Eve pretty quickly into eating the forbidden fruit--maybe she was hungry at the time? Could the devil have known, somehow, that she wanted something to eat, and waited till then to make his move? 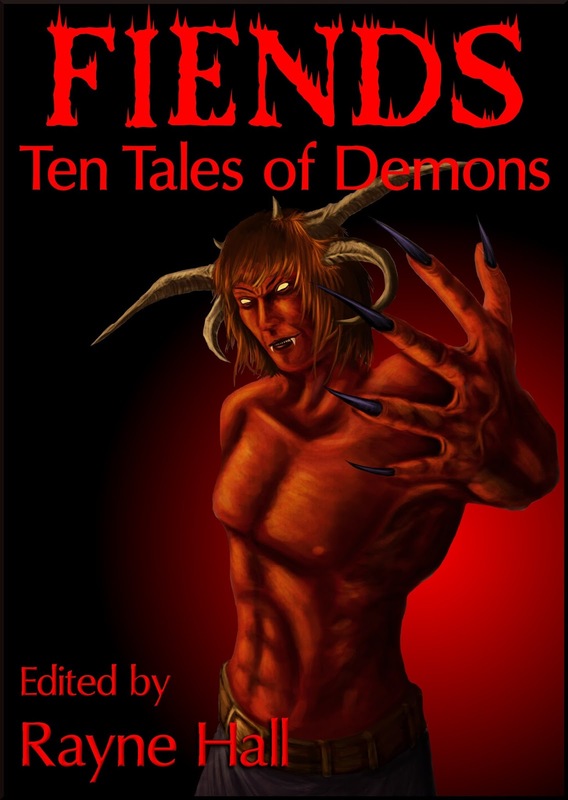 When Rayne told us she was seeking stories for a demon anthology, I could have followed the standard Out-in-the-name-of-Jesus format. I'd read it in novels, and in a comic book. But something nagged at me, an issue I wanted to address. During my San Diego days, I met a young pastor who worked for the local megachurch. This guy was a fiery Type A, a regular pinball always ricocheting from his church work, to riding with the police as their chaplain, to leading our Tuesday night Bible study, to studying for his Master's degree, to participating in a retreat, to jetting off--always, it seemed, he was jetting off on a missionary trip somewhere. I knew him about a year, and he was like that the whole time. I was astonished. I mean, how much can any person have in the tank? I didn't fault his achievements, but I thought someone should caution him that there is such a thing as spiritual burnout. It's happened enough times, to enough fiery Type A's, for someone to coin that term and for that term to stick. When I told him, he looked astonished. Flabbergasted, almost. As if he couldn't believe I would say such a thing. So when brainstorming for a demon story, I pictured someone along those lines, the most well-intentioned, dedicated, and most of all, hard-working man there is. Someone with a sense of mission, of wanting to make a difference. And there's certainly nothing wrong with that. But be on your toes. For as the pastor in the story himself notes, the devil really does prowl about like a roaring lion, seeking human dinner. And as someone once told me, "That's how Satan works--subtle." Perhaps more subtle than we know...as the character finds out. Great teaser for the story, Doug! Can't wait to read it. I've already bought my copy of the anthology and am looking forward to reading every story. Congratulations on the release to all the authors and to Rayne Hall.